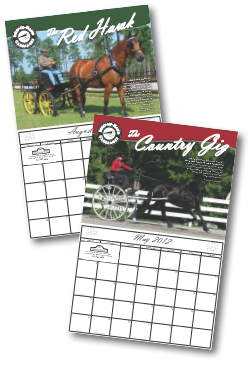 Would you like to be featured in our next catalog or calendar? Our greatest joy is to build carriages that are uniquely fitted to our customer's needs and wishes. 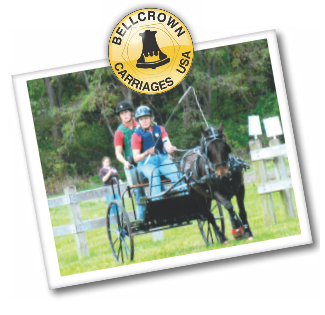 We love to customize to your exact specifications so that the end result is truly a unique and distinctive carriage. 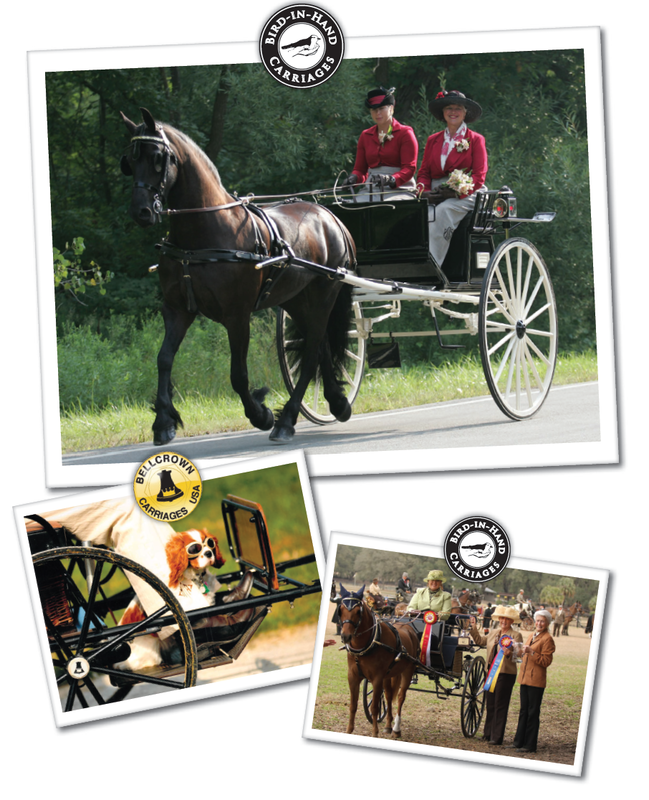 Our brochures, calendars, and catalogs carry news about these special carriages to others who are anticipatingthe purchase of a new vehicle. A custom-built carriage is a worthwhile and useful investment and its fine points need to be carefully planned and considered. 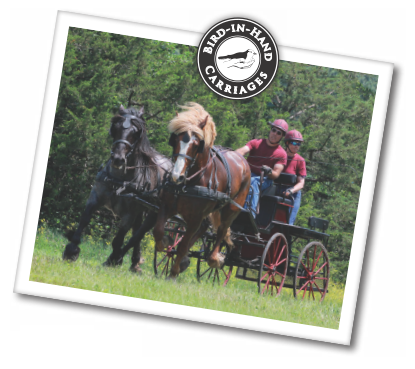 By sharing action photos and the following information about your Bird-in-Hand and Bellcrown carriages, you will help us help others with their own designs and specifications. Many of you have been driving for your own pleasure and in competitions for many years. We are interested in the tidbits of information you have learned through these experiences. We are truly interested in all of these things that are important to you.